"The hay appeareth, and the tender grass sheweth itself, and the herbs of the mountains are gathered. The lambs are for thy clothing, and the goats are the price of the field. And thou shalt have goats' milk enough for thy food, for the food of thy household, and for the maintenance of the maidens." I'm located in North East Texas in an itty' bitty town called Gober. If you blink then you've gone to far!! I've had goats for over 15 years now and I've loved each and everyone that has passed through my barn. 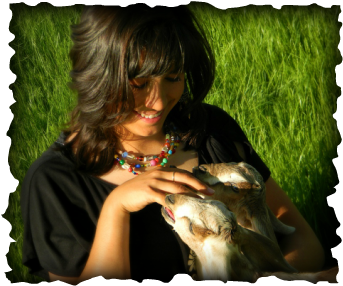 I try my best to raise show quality animals and enjoy taking some of my girls and boys to shows every year. We test annually through certified labs for CAE and have a negative herd. All kids are pulled at birth and raised on CAE & Coccidosis prevention. **UPDATE** Well that's a wrap!! We are finally done with kidding season with a total of 30 babies born! 16 girls and 14 boys!! We had some pretty nice kids born this year and will have several for sale so keep an eye out on the for sale page. I hope that God blesses you with your goats as much as He has me and mine!! Thanks for looking and God Bless!! Eder's Fancie. 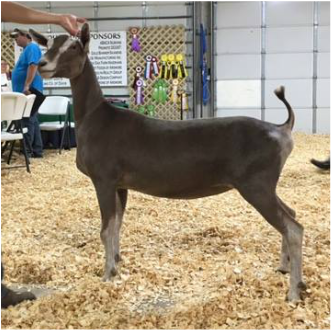 I have always loved this doe and was so pleased when she placed first in her class of 3 and went on to win Reserve Grand under Juistin Bassett and GRAND under Bob Bartholomew!! There where a total of 10 Togg Jrs so this secured her Jr leg!! Now to just get her bred and pray for as beautiful an udder as her Dam and Grand Dam!! 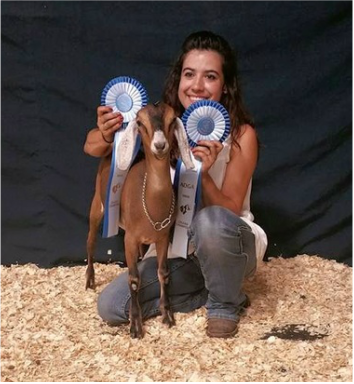 Dair-E-Does Truly Joyful placed 1st in both rings at the Arbuckle Classic Dairy Goat Show! She went on to win Grand in both rings as well!!! I am beyond happy!! I am so proud of my girl! Have a Question for me? Feel free to ask!